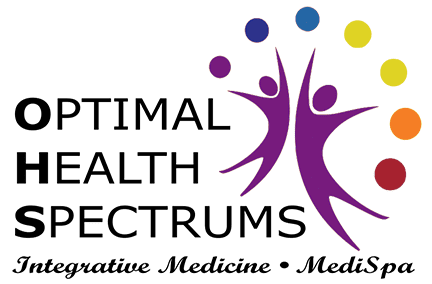 Thank you for your interest in becoming a new patient at Optimal Health Spectrums! We strive to provide comprehensive, personalized, cutting-edge integrative special needs treatment, so that your child will get the greatest benefit from our care. Prioritizing their health and well-being is a valuable investment in their future. To help you understand what we do, how we can help you, and how our clinic works, we highly encourage you to follow these steps prior to requesting a new patient appointment. 1. Review the sections of our website that pertain to your child's health issues. 2. Read "What is Integrative/Functional Medicine?" that explains how our practice is different than the traditional approach to treating medical problems, which is important for new patients to understand. 3. Please read our Insurance and Fees FAQ's which answer a lot of new patient questions. 4. Review the Practice Policies document, which explains our office policies and fees. 5. Read our Important Information and Legal Custody Document. 6. After you have reviewed the information above, click on the “Become a New Patient” button and call the our office. We will schedule an appointment as soon as available. We always do our best to accommodate our patient's needs, and we will get you in as soon as possible. 7. After we receive your appointment request, we will contact you to set up your new patient appointment, answer any additional questions and collect 50% refundable deposit to hold the appointment. 8. Once your appointment is scheduled with our staff, an email with a Welcome Invitation will be sent to you through our friendly and easy-to-use electronic medical records (EMR) system, ChARM. You will need to set-up a Personal Health Record (PHR) Portal in ChARM in order to receive and fill out our New Patient Health History questionnaires online. All information is completely confidential and HIPAA compliant. We look forward to seeing you and helping you feel your best as soon as possible!